Where to Find Blank Cross Forms/Fill-in Pendants? Where Can We Find Cross Blanks With a Deep Well Online? I am looking for a cross blank that has circles in it in which you place beads. Any links will be helpful. Comments for Where to Find Blank Cross Forms/Fill-in Pendants? 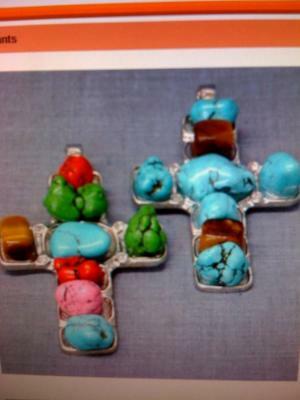 I am looking for some flat crosses that you can add beads to with holes in the back. Please let me know if you have any sources or if you heard of any sites to find them in.